Motorcycle riding is a popular hobby and way of transportation for many people around the globe. That said, it is widely known that riding a motorcycle can be dangerous. 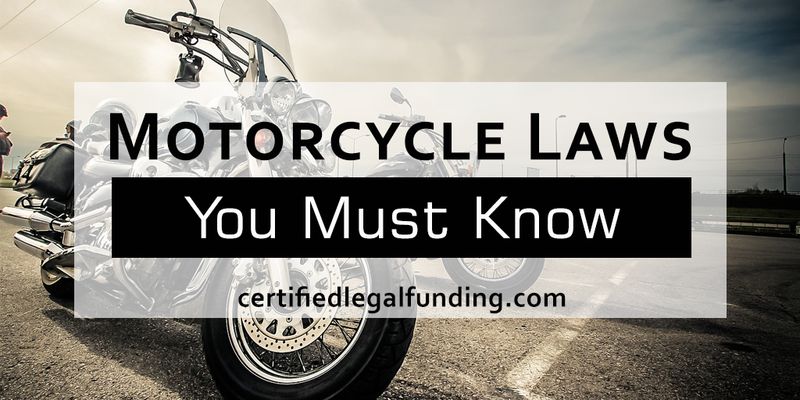 When it comes to riding a motorcycle it is important to understand your states laws as well as constantly practice riders’ safety. In this article we will cover important Florida motorcycle laws that will assist new and existing riders. What is Considered a Motorcycle? Florida law defines a motorcycle as any motorized vehicle with two or three wheels along with an engine 50cc or more. Mopeds and scooters are not considered motorcycles and require a regular driver’s license or a class E license. In the state of Florida, you must obtain a motorcycle license or motorcycle endorsement before legally driving a motorcycle. A motorcycle endorsement is added to a current and valid Florida driver’s license. If an individual does not have a regular drivers license and wishes to drive a motorcycle they can go through the process of obtaining a motorcycle only license. In both cases you must take and pass the Basic Rider Course also known as the Florida motorcycle test. To learn more about obtaining a motorcycle license or endorsement visit – www.dmvflorida.org. Helmet law in Florida varies by age and insurance policy. For riders aged 16-20, wearing an approved safety helmet is required by law. If a rider is over the age of 21 and has an insurance policy that provides at least $10,000 in medical benefits for injuries that can occur from a motorcycle accident, they do not have to wear a helmet. Overall, it is highly recommended to wear a safety helmet every time you are on a motorcycle. All motorcyclists no matter their age or insurance policy must wear eye protection when operating a motorcycle. Approved eye protection options include: goggles, glasses, and face shields. Motorcyclists are not allowed to wear headphones or earphones while riding. Law prohibits motorcyclists from riding side by side. Every motorcycle must have working turn signals and at least one rearview mirror according to Florida motorcycle requirements. If you are involved in a motorcycle accident, please follow the normal steps you would take in a car accident. If the accident was minor you may not need a lawyer. If in fact the motorcycle accident was not your fault and it resulted in serious injury – you may have grounds for a personal injury case. If you are seeking to file a personal injury claim in Florida it is highly recommended to work with a Florida personal injury lawyer. Dan Zohar of DZ Firm – a Tampa personal injury law firm, has over 30 years of experience building strong personal injury claims for his clients. If you or someone you know has been in a motorcycle accident, contact DZ Firm toll free at (800) 963-3311. Dealing with the costs of medical bills, food, transportation and more while waiting for your cash-settlement can be extremely stressful. To ease your stress, pre-settlement funding is available with Certified Legal Funding. Pre-settlement funding will assist you in covering all of your necessary bills while waiting for your personal injury case to conclude. Pre-settlement funding is not a loan. If you do not win the case, you don’t pay. If you are dealing with a personal injury case, Certified Legal Funding is here to help. Call (800) 922-7439 today to get cash fast!